Yamanlar College, a private school established by educators affiliated with the Gülen movement in the western province of İzmir, has been turned into a religious vocational school, part of a group known as “imam-hatip” high schools. 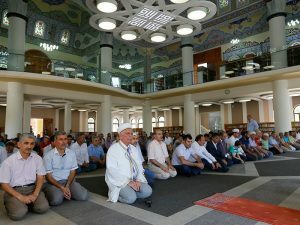 The library of the school was converted into a giant mosque and renamed the “July 15 Martyrs Mosque” in honor of people killed while trying to avert a coup attempt on the night of July 15. Yamanlar College is best known for its success in international science olympics. Since its establishment, students of the college have received a total of 146 medals at international math olympics. In one recent example, Mustafa Ege Şeker, a Yamanlar College student, on June 1, 2015 received a gold medal for a computer project he made for the 14th InfoMatrix International Computer Project Competition. InfoMatrix, an international computer project competition, born from a desire to bring the world’s best IT students together, was held in Bucharest, Romania, with 500 students from 41 countries attending it with 285 projects between May 27 and 29. In another example, Yamanlar College student Ahmet Kocataş was announced on March 25, 2016 to have received the highest score in the Higher Education Examination (YGS), the first-round exam of the university entrance system that was administered on March 13, 2016. Yamanlar College was established in 1982 by volunteers from the Gülen movement. Following the coup attempt, the Turkish government shut down over 1,600 private educational institutions allegedly linked to the movement as a massive crackdown on its followers has been ongoing since the July 15 coup attempt. Turkish President Recep Tayyip Erdoğan has accused the Gülenists of being behind the coup attempt. This is not the first time a Gülen-affiliated science school has been turned into an imam-hatip. In video footage earlier released on social media, Turkish authorities are seen turning a school in Van province into a religious school. 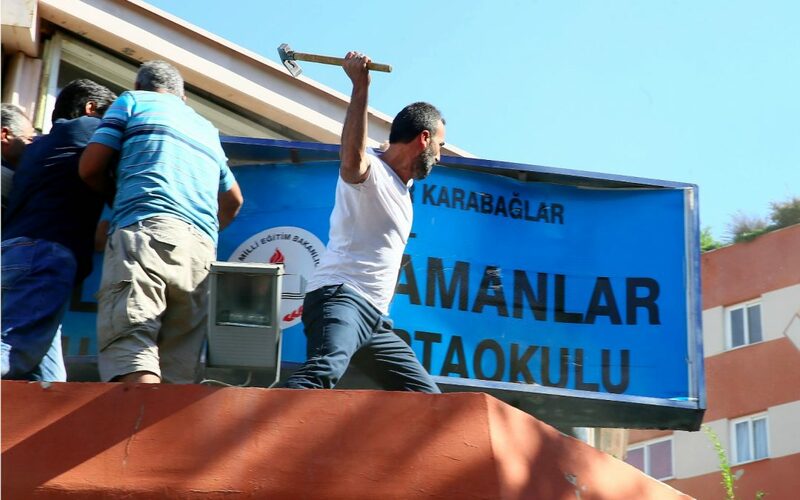 In another example, the Nehir Primary and Secondary Schools in the eastern province of Ardahan have been turned into a religious vocational school and renamed Şehit Ömer Halisdemir İmam-Hatip Ortaokulu in honor of a civilian killed while trying to avert the coup attempt on the night of July 15. In Sakarya, a private dormitory that was confiscated by the government as part of an investigation into the Gülen movement was converted into a religious vocational school on Oct. 25, 2016. The dormitory officially became an imam-hatip middle school in a ceremony attended by Akyazı Mayor Hasan Akcan and District Director of Education Recep Özdemir along with several teachers. In a speech in 2012, then-Prime Minister and current President Recep Tayyip Erdoğan announced that his government wants to raise a “pious generation.” Since then, the Justice and Development Party (AKP) government has embarked on a process of opening religious imam-hatip schools across Turkey. When the AKP took power in 2002, around 65,000 students were enrolled in imam-hatip schools. That figure had risen to more than 1.5 million by 2016.